Strong Families Blog: What’s Wrong with Blaming Teen Parents? According to recent data, New Mexico has the 2nd highest teen pregnancy rate in the country; it follows that New Mexico has high numbers of parents who had their first children as teenagers. As a young mama recently shared, “we aren’t just teens having babies, we are young parents who are raising families”. The negative practice of shaming and blaming young parents exists everywhere and has untold impacts on young families. A research brief, “The Public Costs of Teen Childbearing” reports that mothers having their first child at age 17 or younger cost the United States $8.63 billion annually. As part of this calculation researchers measured, “the reduced earning capacity of teen mothers and their partners due to lower levels of educational attainment--all of which translate into lost tax revenue.” This data is often used to paint young parents as a drain on our economy, but we need to refocus this discourse and take action to address the overwhelming educational push-out young parents are facing. Last year, Young Women United (YWU) and the American Civil Liberties Union (ACLU) of New Mexico conducted focus groups with young moms to learn about their experiences in accessing education as pregnant and parenting teens. Young parents in New Mexico shared stories about how fellow students, teachers, and administrators made them feel unwelcome. One student from Las Cruces told us, “Teachers were against it and told [me] it would lower [my] grades.” In Albuquerque, students told us about an educator yelling at pregnant moms, promising that their kids would be screwed up because of their mistake. Teen parents from different parts of New Mexico said that many of their teachers refused to allow them to make up assignments they missed due to childbirth. All over the state we learned about district policies and procedures that erect barriers to young parents completing their education. Working with the ACLU of New Mexico taught us about the protections against educational discrimination that Title IX is supposed to bring to pregnant and parenting teens. 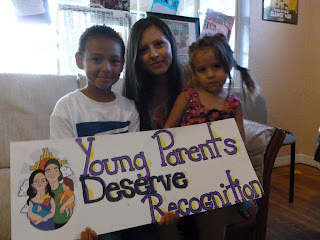 Carrying momentum from these focus groups, YWU organized with young parent leaders to collectively author Senate Memorial 25 establishing August 25th as the New Mexico Day in Recognition of Young Parents. 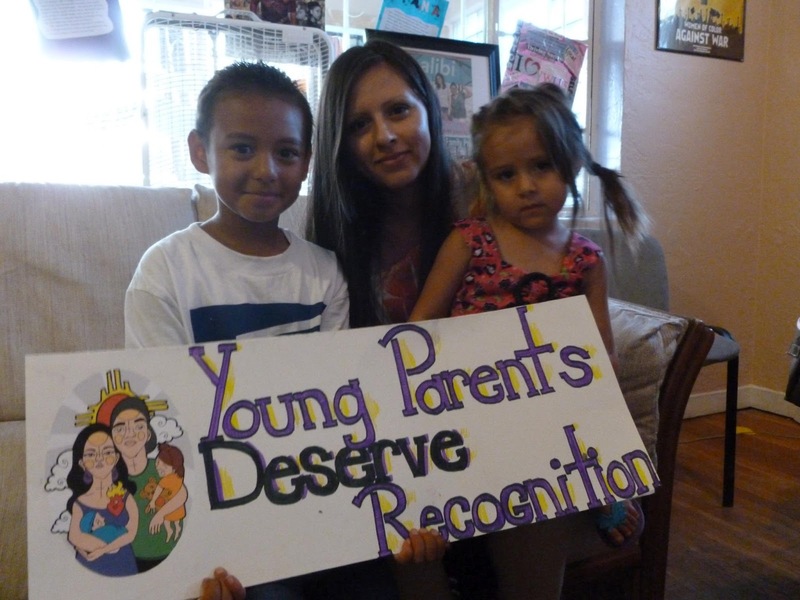 From committee hearings to conversations with legislators, these leaders let their message be known: young parents deserve respect, trust, and recognition. Over 50 young parents and many allies from all over New Mexico came together for “Show Some Love,” a day of action during the legislative session at the Roundhouse which created a space for young parents to speak out and connect with legislators about issues that matter, like educational discrimination in our school systems. SM 25 passed through the NM legislative body with bipartisan support. Too much is at stake when we shame and stigmatize young parents. Blaming social ills on young parents pushes them away from the support and resources that all families need to be healthy. Meaningful change in the lives of all young people is rooted in equal access to educational opportunities, living wage jobs, affordable health care, and safe housing. To ensure that young parents and their children are given the opportunity to be strong families we must address discriminatory practices and policies impacting their lives. This August we are incredibly proud to announce three New Mexico celebrations in recognition of young parents. While these events are affirmations of equality that all families deserve, we have work ahead. Together with the ACLU of New Mexico, YWU is centering the voices of young parents on a powerful task force set to assess and eliminate educational barriers faced by pregnant and parenting students. With young parents committed to creating change, we expect to see important wins for young families as we come out of New Mexico’s upcoming legislative session. Together we can and must build communities where all families can thrive.